Summer – We Are All Meant to Shine! The summer solstice took place this weekend and the above reading of the poem The Summer Day by Mary Oliver seemed so fitting for this weeks Mojo Monday. Ahhh summer. It may not be just like it was when we were children and had summers off from school. Except for the school teachers out there, most of us work through the summer, taking vacations here and there. Maybe we go tent camping or travel to lakes, oceans and rivers and stay in cabins or resorts. 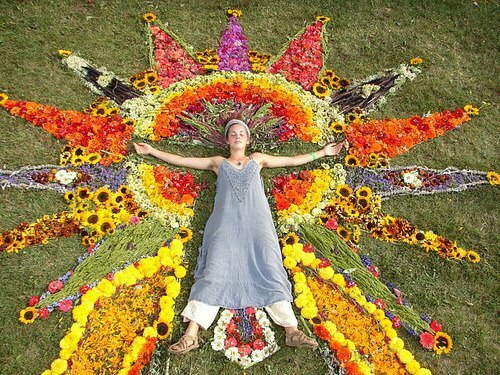 Did you celebrate the Summer Solstice? Did you do happen to do anything special that day? 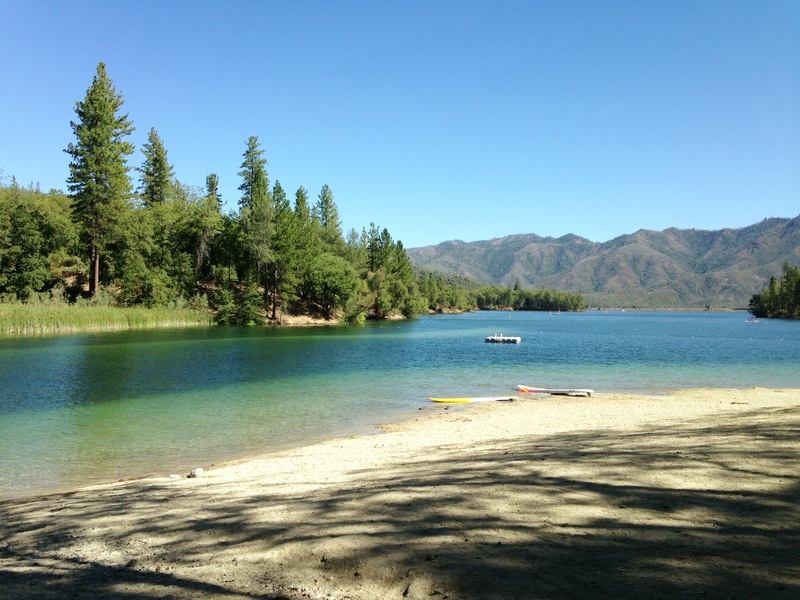 My first day of summer was partially spent at nearby Whiskeytown Lake, a favorite place to relax, swim and play with the family and friends. In the early evening we headed over to partake of some of the Sundial Bridges’ 10th Anniversary celebration. On the solstice there was a flash mob dance to the song Happy right on the bridge at 6:45 pm. 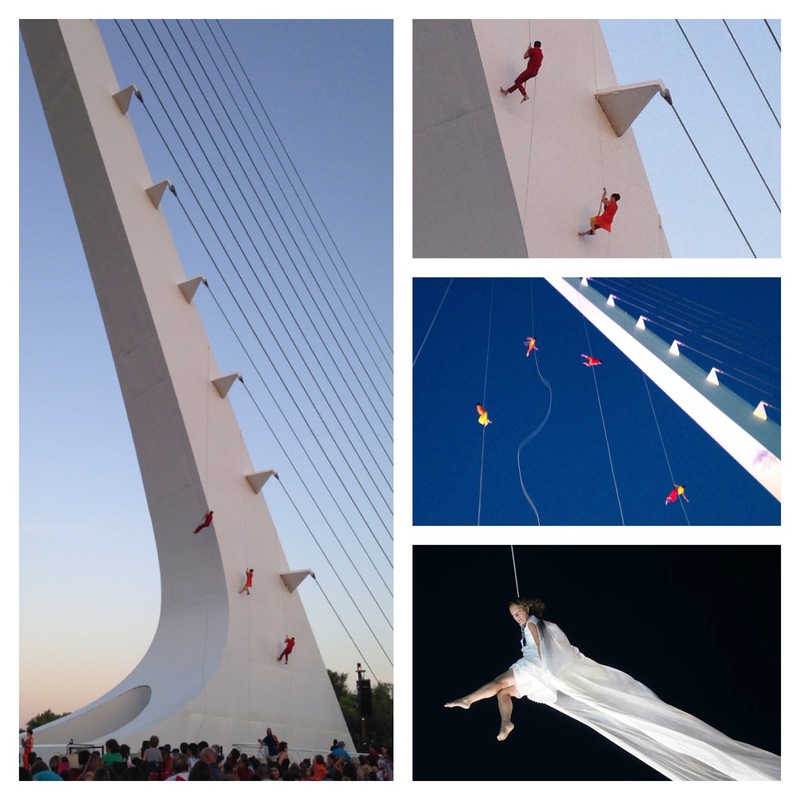 That was then followed a couple of hours later by an astounding performance by Bandaloop on the Sundial Bridge. They performed their aerial dances to the accompaniment of a local orchestra. Last night watching these amazing athletic sky dancers perform, while local musicians played skillfully I felt in awe, of not only where I get to live, but the ingenuity and creativity of us humans. It was a perfect evening and I felt inspired and happy that it is summer. While I don’t get the summer off, there will be regular lake trips, outdoor water aerobics at the local aquatic center, growing veggies in our garden, the wedding of a dear friend, a trip to Ashland with my hubby to see a play and a family camp trip to the coast. I find myself wanting to soak up all the goodness around me and simply marinate in it. 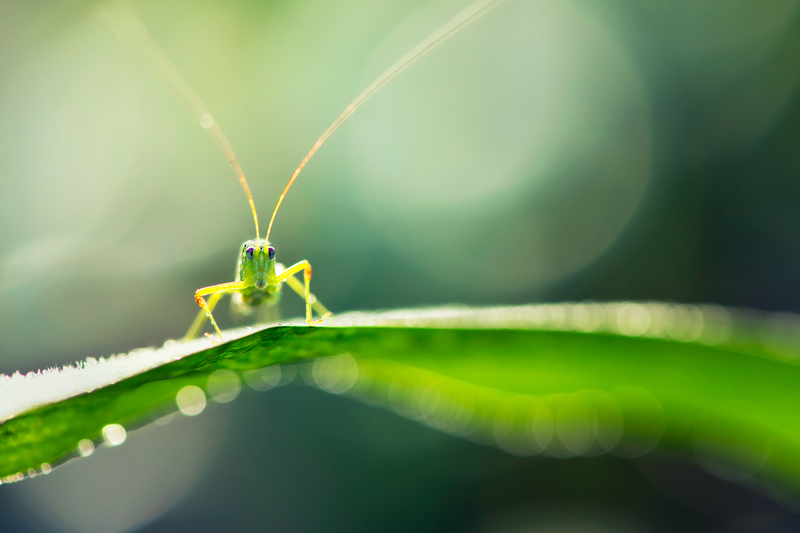 What summertime happenings bring you happiness? Do you have any special summer plans? Here are a few videos from the Bandaloop performance. I wanted to share as it truly was a beautiful thing to witness. Here is a video showing the first performance by three Bandaloop dancers. This video captured the whole performance. This next video is the second performance with four Bandaloop dancers who dropped from the top of the dial. This video capture a portion of the performance. This final video was the grand finale featuring the woman in white and the dramatic long white scarf that floated and danced against the darkened sky so very beautifully. Wishes for a summer of love. with your one wild and precious summer?